Planning your Phuket holidays can be as easy as dropping into your local travel agent and going along with their suggestions and their holiday packages and all inclusive deals, but with a price. Or you can do a bit of homework online and find some incredible deals by researching flights to Phuket and some of the specials and all inclusive resorts that are available online. Note, we are not travel agents, just fellow travellers passing on information to help you make the most of your holidays in Phuket. Travel agents do a great job and can provide you with lots of ideas on where to stay and the best deals they have to offer. To stay up to date with the latest specials we subscribe to their online newsletters and emails. If you find a great holiday package you can usually book this at the local agency or over the phone with one of their travel specialists. Using the services of a travel agent to book your holidays works well if your not confident booking your own flights to Phuket or accommodation online. However, we suggest you do some looking around our site to see how affordable the room rates are for hotels in Phuket before going with their recommendation alone. With just a small amount of research you could save yourself some extra spending money that you can use to go shopping or do extra day trips on your holidays. Never be afraid of taking the information you find back to your travel agent to get them to offer you a better deal. There are many ways you can save for your holiday and travel on a budget, but there are also those occasions that you find yourself short on cash and looking at ways you can finance your dream holiday. There are many options to planning you're Phuket holidays. If you just want to enjoy the nightlife and shopping you would be best to stay around Patong Beach. However, if you would like take in all that Phuket has to offer look outside of Patong and maybe do a combination holiday enjoying the busy streets and beach of Patong and the beauty of Ko Phi Phi or Krabi for a few days to relax, it would be well worth the extra effort. As mentioned, there is more to Phuket then just Patong Beach. 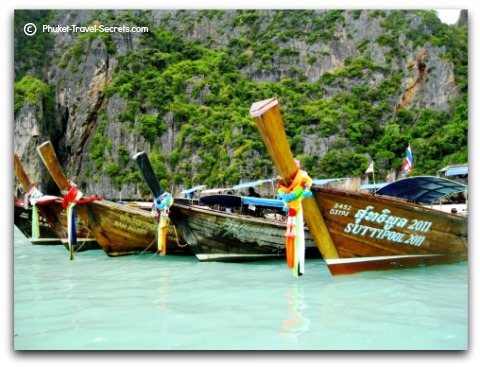 Here is a couple of ideas for you to consider for your Phuket holidays. A short tuk tuk ride can see you at Surin or Kamala beach to the north or travel south to Karon & Kata beaches or the quiet beach coves of Tri Tra, Tri Trang, Paradise or Freedom Beaches. You will find these area’s far more relaxing than Patong Beach. If you go onto any travel forum, everybody asks the following question. Where should I stay in Phuket ? Hopefully this short breakdown will help. Patong Beach is fun and if you want to party, shop and don’t mind the crowded beach and busy streets, especially in the high season, Patong is definitely the place to spend your holidays. Some people love it and cannot get enough of Patong, but for others they find a 10 night stay in Patong is to much and say that a 5 night stay would have been better, everyone is different. If you want to party and shop in Patong, but would also like to enjoy a more relaxed atmosphere with great restaurants, local bars, markets and relaxing beaches. Then head to the more relaxing Kamala and Surin beaches to the North or south to Karon, Kata and Kata Noi beaches. If you only want to go to Patong once or twice during your holiday in Phuket and would prefer to relax on the beach and enjoy the surrounds of a Five Star Resort. Have a look at the beaches that we have listed below that are located further to the north of the island. One area to consider if you want to experience what Phuket was like when we first visited 27 years ago, is to stay in the Nai Yang area near the luxury five star Slate Resort. Once you have sorted out a location of where you would like to stay for you Phuket holidays, its now time to research some of the different hotel or all inclusive resorts options. As mentioned on our accommodation pages we find some of the best hotel deals using Agoda to decide were we are going to stay, we find their site offers great location maps, photo’s and reviews. What would you suggest for a 14 Day Holiday in Phuket? If you just want to stay in one location go by the above suggestions. 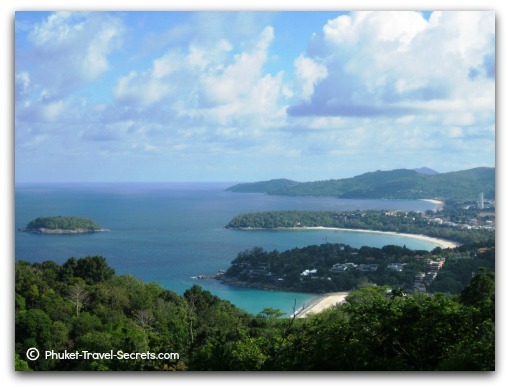 If you want to soak up the best Phuket holidays, then I would suggest the following. Start in the deep end with a 5 night stay at Patong Beach, enjoy the nightlife and shopping. Go and see the Phuket Fantasea Show and explore Phuket with a half day island tour or an elephant trek. For more information on tours, we recommend you contact Easy Day Thailand, you can use this contact form to get in touch with them. Take a ride on the local songthaew or a taxi into Phuket Town and take in the shopping, movies or bowling in Central festival or the weekend markets for some great bargains. 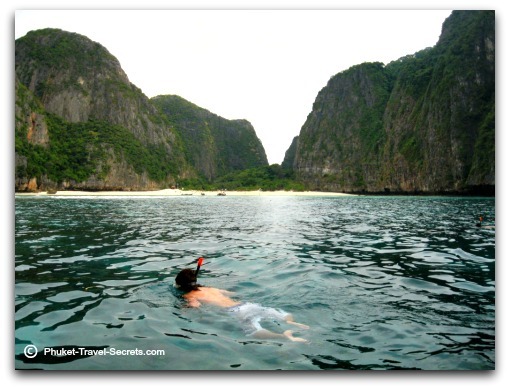 On the 6th Day catch the ferry over to Phi Phi and stay for 4 nights to take in this beautiful island. Take a walk to the islands lookout called, Pee Pee Viewpoint and take in a magical sunset or catch a local longtail boat to explore the beach at Maya bay before the tours from Phuket arrive or maybe take in that special secret cove that is a favorite of your tour guide. After exploring the sights of Koh Phi Phi take the ferry back to Phuket and stay at either Karon beach or Kata Beach if you still want to be close to Patong. Or take in the last days of your Phuket holidays the way it used to be, by heading up to to Nai Yang Beach to chill out before heading home. To finish your Phuket holidays you must also include a day trip to Phang Nga National Park and take in the beauty of the limestone cliffs and visit the famous Jame Bond island. You will usually find these trips associated with a sea kayak adventure as part of the trip. If you are travelling in the high season around December and January book in early, if you are travelling in the monsoon season you will find bargains galore. If you have ideas or comments about our site we would love to hear from you. Please visit our contact page, as we always appreciate fellow travellers sharing their tips so that we can all enjoy our Phuket holidays.